Uranus enters the final degree of Aries. This is the planet that has been shaking and breaking up your plans for the past eight years. It does this to free you from what holds you back, but it includes loss (never a favorite). Because its preferred delivery system is a surprise and a shock, you grow in spiritual perspective. Venus brings reassurance and caring conversations this week. The Sun in your sign puts a light in your corner. 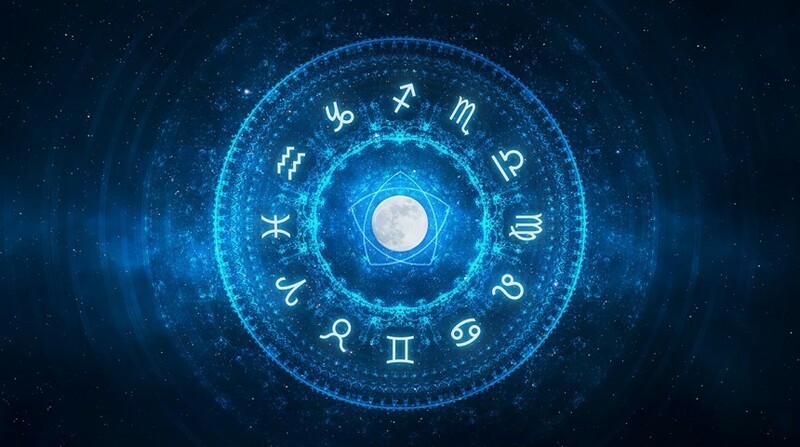 At the same time, the focus of your chart is long-distance travel, dealing with in-laws, and seeing the spiritual underpinnings of recent events. Vesta, Saturn, Dark Moon Lilith, Pluto and Mars may turn your beliefs inside-out as you reexamine them. 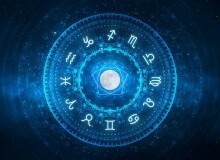 This is a great time to work with the stars as you’re more comfortable with the real you. If you’re in a scene and helping it flourish, this week brings you a step closer. Uranus is in the final degree of your solar eleventh house. All you have done for the past eight years with friends and groups you belong to, is about to shift. Get ready for a surprise meeting or a sudden change. A spouse, partner or business associate may turn out to be the heavy-hitter they promised to be. Ever have a weird dream? Wonder if the universe is making contact? You can relax. Your subconscious mind works overtime this week. Pallas Athene, warrior goddess, is in this sector of your chart. Your inner courage and wisdom has been making its way to the surface. To offer a soothing sense of comfort, Venus has moved firmly into this same area. A destiny portal opens to bring you into alignment with sudden changes. What is it you would most like to align your life with your interests? At the moment, there may be shake-ups. Uranus moves to the final degree of your solar ninth house. You could find yourself traveling, wish you were, or view a slice of reality peel off to become something else. Ceres, the mother nurturer, is in Leo. She can help you feel your best by upgrading your diet and enjoying time immersed in comfort. Ultimate luxury is not something Virgos usually consider. Pampering is only something you dream about. Or is it? Venus has entered your solar tenth house. If there is anywhere you might want to be comfortable, it’s in the midst of your career – where you spend most of your time! For the next few weeks, just say ‘yes’ when you’re offered an upgrade. You deserve it! Fiery focus and grist in your dreams is not a Libran’s favorite fare. You may not want to express this side of yourself (where’s the peace and serenity?). Yet this week you may feel forced into it. Uranus transits to the final degree of your relationship sector. The mirror image we’re told about doesn’t always translate on a daily basis. If you’re looking for the beauty and love, hold on. Ruler Venus is about to show a gorgeous reflection of your spirit. Scorpio is a fixed sign, feeling unsettled with sudden changes. Having to deal with reversals whipping around when least expected is not high on your list. If they’re in your favor, of course, they’re easier to take. Uranus transits to its final degree in your solar sixth house. Your work, and how you exercise (or exorcise) stress out of your system, are deeply interwoven. Energy shifts are easier. Let your positive thoughts prevail to make the difference. Venus is in your sector of partnership for three more weeks. If there is a point you’d like to make, now is the time. You may want to dress it up with a mouth-watering icing, though Sag’s free spirit generally prefers the unadorned truth. Uranus transits to the last degree of your solar fifth house. Romance, love, and taking care of kids are part of the picture. There really is no time like the present. If you wish you had a pillar to lean on, don’t worry. You aren’t the only one who feels that way! As much as you like structures to stay solid and time schedules to fit neatly, you are prepared for upcoming changes. Uranus transits to the last degree of your solar fourth house. This literally affects where you live. Get your ducks in a row in terms of where you’d like to be. Your flexibility makes turns things around with ease. Since you tend to be ahead of the curve, much of life looks like a rerun. Yet, people and events can still surprise. Right now, you’ve got Venus in your solar fifth house of romance. Regardless of how you feel about it, or what has happened in the past, it’s a blessed time to make a connection. Uranus moves to the last degree of discussions with siblings and neighbors. Your input makes the difference of how things go for the next eight years. Feel like what you’ve been told has flipped upside-down? Ideals aren’t easy to hold onto. They’re for the realms of subtle spirit. You can keep your essence clean and radiating light without too much effort. Venus has entered your solar fourth house, gracing your home with warmth and beauty. Uranus transits to the final degree of your financial sector. You’re almost completely through it!